I met Erica in my EdM classes at Boston University. I knew her family was polish, and that she spoke the language fluently. But it was only a few months ago, when I “met” her blogger roommate through Twitter, that I also found out that Erica cooks! While her first love is hockey, Erica is also passionate about food from her homeland. 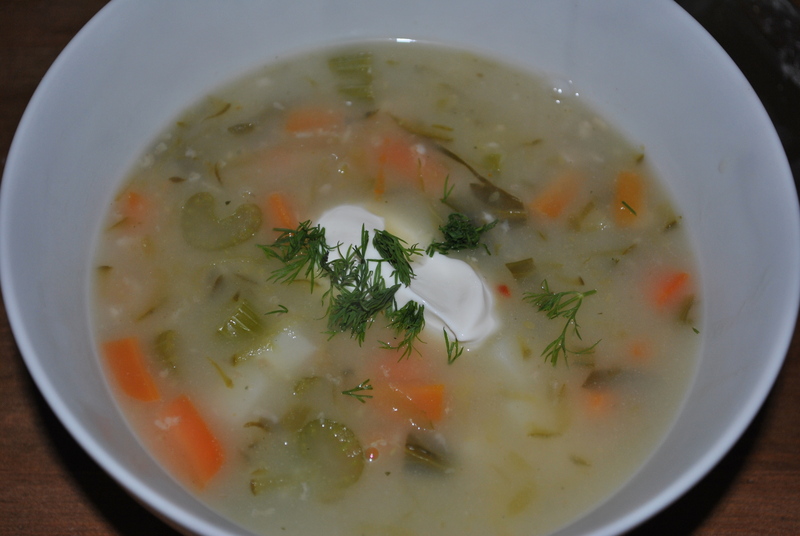 And when I heard about Polish Pickle Soup, I knew she HAD to guest post for my blog. So without further ado dear readers, please, meet Erica…. Erica writes the blog http://whatsupyasieve.wordpress.com/ and is on Twitter. I’m a Pole and proud of it. 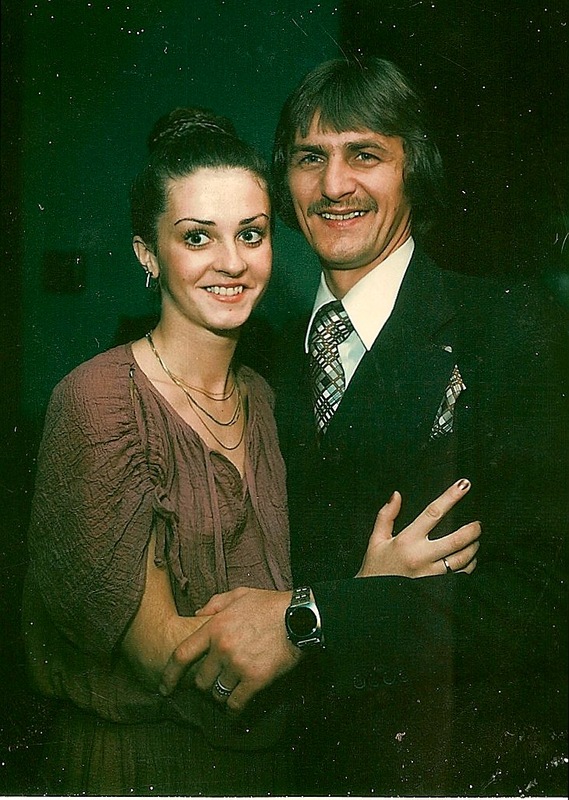 Both my parents were born in Poland in the 1950s and immigrated to the US in 1963 (Dad) and 1964 (Mom). 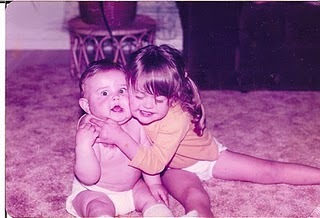 Erica's mom and dad....I am guessing in the 70's! While they assimilated into their new homeland, they also made a conscious effort to hold on to their “Polish-ness” – their customs, language, and most importantly, their food. My brother and I were born in the States but thanks to Mom, Dad, and our grandparents, we grew up as children of two distinct cultures. We spoke Polish before we spoke English and spent countless Sundays, holidays, and summer nights at Babcia and Dziadzia’s (grandmother and grandfather) house, eating delicious Polish food. 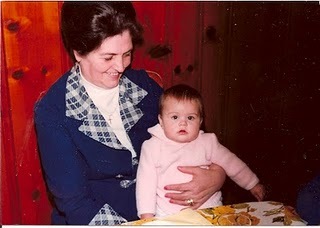 I love all my grandparents but my maternal grandmother, Babcia Kazia, and I have a close relationship. She also happens to live downstairs from me. With her so close and the fact that she just turned 84, I wanted to make sure that I learned as many of her Polish recipes as I could. Slight problem though. None of them are written down. Everything that she makes – pierogi, golabki, soups, pastries, etc. – she makes from memory. Little bit of that, little bit of this, and BOOM – Polish Food Perfection. Mostly all of the Polish recipes I know are based on how Babcia tells me to make it…with some slight variations of my own and some I picked up from my mom and aunts. Polish food is could probably be best classified as “comfort food” – lots of meat, potatoes, and cabbage. We do make some excellent sweets (which I’ve also attempted with some success), but probably my most favorite food to make is Polish Pickle Soup. Now I know what you are thinking – “Soup made of pickles! How can that possibly taste good?” But trust me – it is awesome and it is super easy to make. Oatmeal? Yea, oatmeal. Most recipes for this soup call for milk, but my mom’s best friend said to use oatmeal to thicken the soup. This works out great for me since I don’t drink milk. Add chicken stock, celery, carrots, potatoes, and oatmeal (I used about 3/4 of a cup) and bring to gently boil, until potatoes are fork tender. 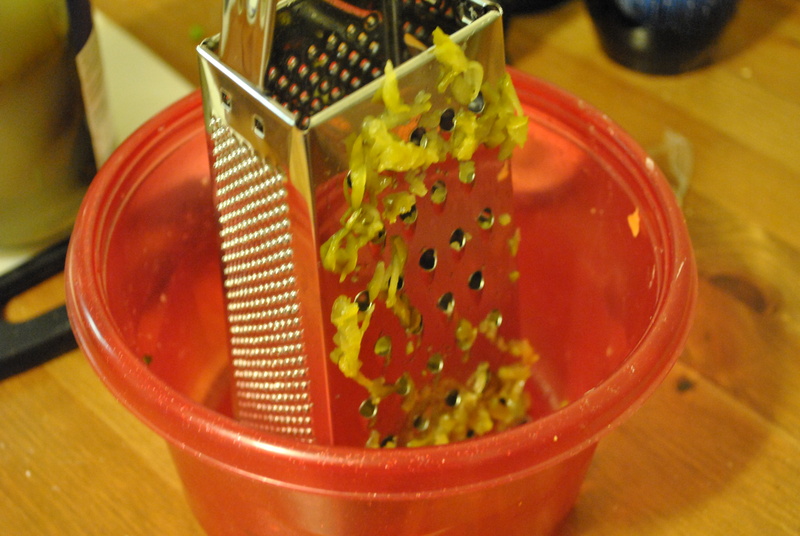 While the stock is heating up, use a box grater to grate the pickles. If you can’t find them, regular polish pickles will do, but you might have to adjust the seasoning to get the right flavor. After the potatoes are cooked, add the grated pickles. Mix well and let the soup come together for a little bit (like 3-4 minutes). No need to add salt if you used pickles in brine. I just added some pepper and little bit of Polish seasoning I had. And that’s it. You’ve just made Polish Pickle Soup! Serve with a dollop of sour cream & chopped dill if you’d like. So as we say in Polish – Smacznego! I was skeptical about the oatmeal at first, but it worked out very well in the end!